One of my Twitter buddies mentioned today that, as a kid, he wanted to make a career out of creating the images below. 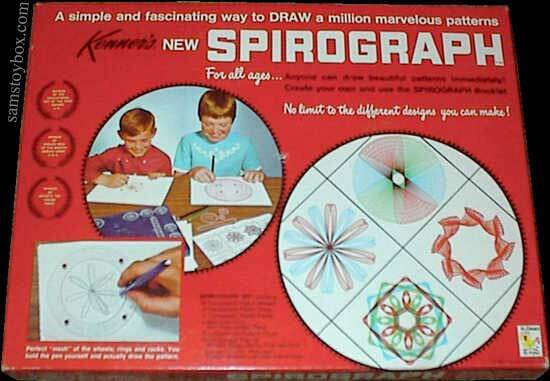 We used pen and ink on paper and the special Spirograph tools to create those images — this was years before laptop computers or Photoshop manipulation were common. 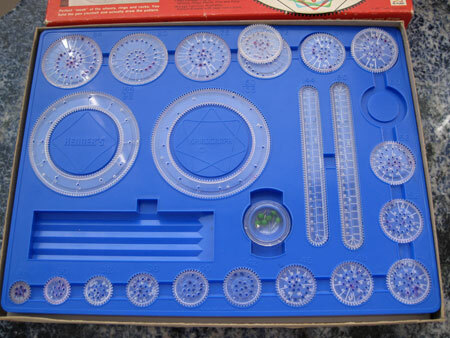 Looking at all the discs and circles in the kit, I am itching to play with it again. It was a lot of fun. 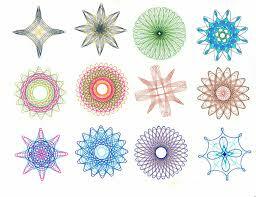 Wonder what became of our Spirograph? Egg siblings — any ideas? This entry was posted in Art, Children, Design, Entertainment, Humor, Life, Toys and tagged art, baby boomers, career, children, circles, design, discs, entertainment, Humor, images, ink, laptop computers, life, nostalgia, paper, pen, Photoshop, siblings, Spirograph, Spirograph tools, toys, Twitter, will it go round in circles. Bookmark the permalink. you can still buy them. These helped me create the only artwork I wasn’t embarrassed to see on the refrigerator.